Dr Deon Smith is a paediatrician at Mediclinic Cape Town. 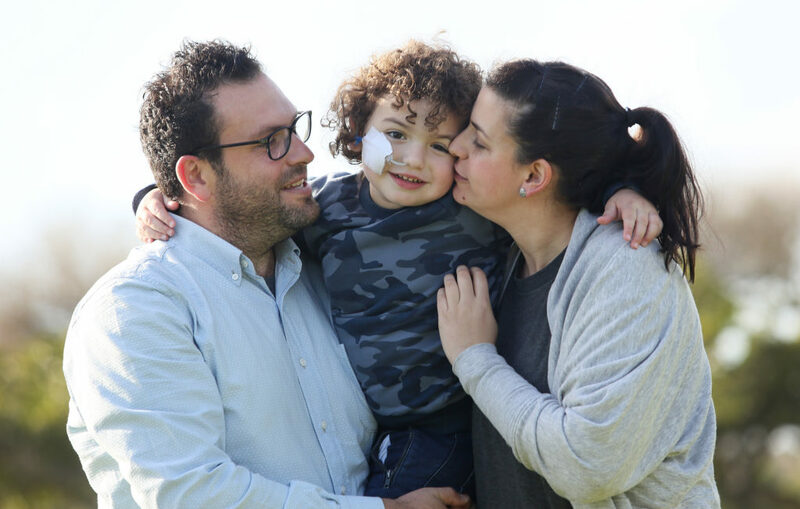 One of his patients, Aaron Lipschitz, is a three-year-old boy with an interleukin 12 receptor defect – a rare genetic mutation that prevents him from eating proper food. What is an interleukin 12 receptor defect? Dr Deon Smith: Interleukin 12 is one of the many interleukins that help orchestrate the function of your immune system. Interleukins are interesting little molecules. Your immune system has to be very finely orchestrated for cells to acknowledge there is an invading virus. These cells communicate with each other and other cells to bring the next wave of defence into line. Cells also develop a memory of a particular virus, so the next time that virus comes into your system, you can produce specific antibodies to attack it again. All that communication between the various aspects of your immune system happens with molecules called interleukins. They also create feedback systems to produce a complex and finely orchestrated mechanism. For these little molecules to communicate, the receiving cell needs a receptor where your molecule connects. This sets off an intracellular messaging process which will multiply or produce an enzyme to help attack a virus. In Aaron’s case, there is a receptor defect. He has enough interleukin 12 but there are no receptors to acknowledge the presence of this interleukin. Whether there’s no interleukin or whether there’s a receptor defect, the immune system is still not going to react as it should. Depending on the type of immune deficiency you have, whether it’s B cells, T cells or a combination of specific interleukins, sometimes there are characteristic patterns of infection. Sometimes these can be helpful in pointing out the direction, sometimes not. With interleukin 12, there are two kinds of infections that are fairly common. Children with interleukin 12 often have disseminated TB [tuberculosis] and often as a result of the BCG [vaccination] that they get at birth. The other is salmonella infections in the gut. In Aaron’s case, he doesn’t have TB but has been plagued by recurrent salmonella infections in his gut from the age of one. Salmonella is a gastro-bacteria. There are many types, and in Aaron’s case he was getting Serogroup Salmonella C. Because of his general immune deficiency, he gets other infections as well, such as chest infections and tonsillitis. But they are much more severe and take a lot longer to clear than in children with normal immune systems. Has Aaron really never tasted proper food? That’s correct. Aaron’s case is interesting because he also has an extreme intolerance to food. Currently, we aren’t sure how much of an overlap there is, or if there is an additional problem. We can’t state if it’s a food issue or if it’s related to interleukin 12 because it’s a very rare condition and other cases in the world haven’t specifically mentioned this as a factor. The current thinking from an immunologist’s perspective is that there are two distinct problems with Aaron: the food and the immune system – but because of his recurrent gut infections, he is unable to tolerate food so there’s definitely an overlap between the two. Until we have dealt with the immune system issue, we won’t be able to assess the situation with certainty. We have investigated the food issue and have determined it is not an allergic diagnosis. There is just an extreme intolerance to food and medication. So Aaron has never tasted proper food. He’s only had Neocate, an extremely elemental and hydrolysed milk that contains pre-digested fat. All his gut has to do is absorb it – there is no major digestion required. This has kept him alive. 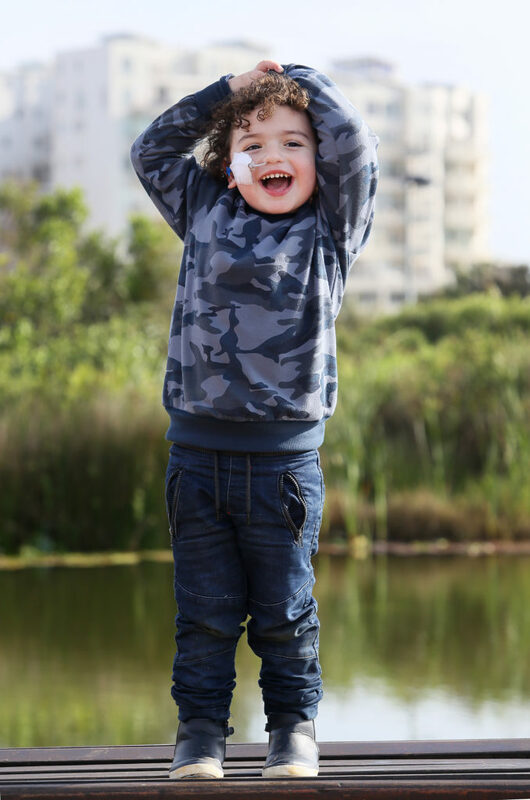 When he was two-and-a-half, we put him on total parenteral nutrition (TPN) – fed intravenously during the night – that boosts his nutrition and immune system. It must be uniquely challenging to diagnose and treat babies because they can’t tell you about their symptoms. How do you manage that? Diagnosis is made using the help of the mothers’ observations of behaviour and reactions. And when you see a child on a regular basis, patterns start to emerge. I have seen all of Aaron’s issues from birth and have an impression of how he handles things. For instance, when he has an infection he doesn’t have a temperature. We have to rely on his behaviour and changes in his sleep patterns. He wakes up at 2 am and becomes hyper, or his stools change and he gets severe abdominal pain, or he acts out and becomes unstable. Usually, within a day or two, he starts producing other symptoms, but he’s had a temperature only three or four times in the past few years. How do you navigate the emotions of the parents? With experience, one learns to distinguish between anxiety and real concerns. These days, parents also video record their kids and that’s a great help when diagnosing. It’s always important to listen to the mother in the beginning. It’s rare for a mother to create symptoms in her child that aren’t there. How did Aaron’s case change or develop as he grew older? We realised there was an eating issue and noticed his immune profile was low. A few months later, the numbers got worse and he had other infections. Then we checked and found that although he’d been vaccinated, he didn’t react appropriately to his vaccines. We gave him Polygam, a monthly intravenous antibody injection, to help him fight infections. That afforded him the best six months of his life and allowed us to do some food trials. Unfortunately, these were unsuccessful. Aaron then developed an allergic reaction to the Polygam and things got progressively worse. That’s when the genetics team decided to investigate what was wrong with his immune system. Prior to that, we linked up with a team in Paris who were investigating immune gut issues in infants around the world. Unfortunately, they couldn’t find anything. But scientists at the genetics department in Stellenbosch were amazing. 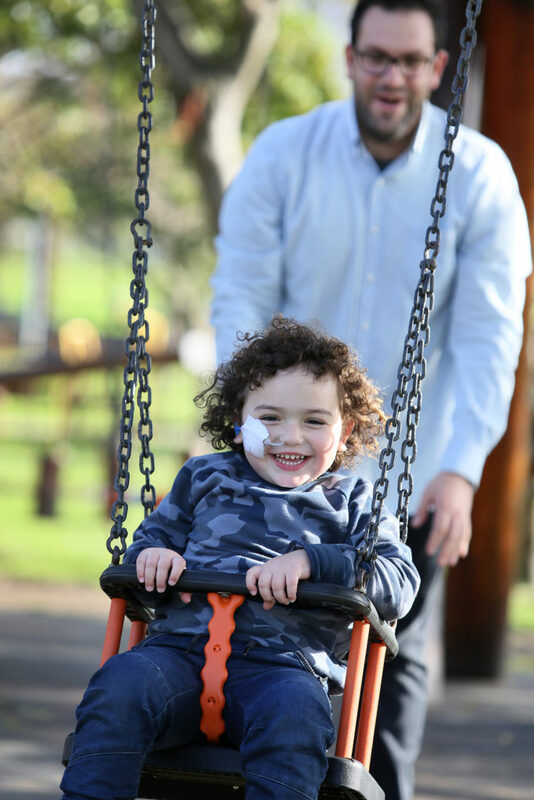 They took blood from Aaron and his parents and did exome sequencing. They then linked up with international laboratories to find out what this sequence links to. It was with their detective work that we got the [IL-12 receptor defect] diagnosis for Aaron. How did you personally respond to this rare diagnosis? There were a few of us involved – the dietician, the head of paediatrics at Stellenbosch and myself form the team who discuss and brainstorm Aaron’s case. We often had roundtable meetings with one of the genetic departments. When they did the exome sequencing, we all got together again and went through Aaron’s entire history. We asked each other whether all the laboratory tests we’d done matched up with the diagnosis. We found we couldn’t simply squeeze what was going on with Aaron into a genetic abnormality. So the diagnosis doesn’t explain everything in Aaron’s case but it explains a lot of what he has been going through. We can now contact other people [with the condition] and ask them how they manage it. With these rare conditions, you’ve got to pool resources from all over the world. First world countries can do exome sequencing on far more patients than we can. Fortunately, Professor Esser [from the genetics department at Stellenbosch University] has a number of international contacts and we have made use of this knowledge. Aaron Lipschitz’s best chance of leading a normal life is a stem cell transplant. Please elaborate? The first thing we had to do was find stem cell donors. Stem cells are basically the foundation from which other cells start developing. So we want to replace Aaron’s immune system with good healthy immune stem cells. These will go on to reproduce cells that have interleukin 12 receptors in them. (Aaron’s own stem cells are currently producing cells which have a receptor defect). Because this is an autosomal receptive condition, each parent carries half the gene, so they are not useful donors. Aaron has to go into isolation so we can remove his immune system and give him the donor’s stem cells. Then they have to regenerate. During that time he will be in isolation for up to eight weeks because he’s extremely vulnerable to infection. Only his parents, grandmother and one other family member will be able to make regular contact. What is the biggest lesson you’ve learned from this case both personally and professionally? I learned the value of being part of a multi-disciplinary team looking after complex patients. You need to make contact with other people to pool ideas and resources. Being available to the parents on the phone is also valuable – they never get brushed off. * On 17 July 2018, Aaron’s parents posted to his Facebook page, Save Aaron, that an international bone marrow donor had been found.